RIDGEFIELD PARK, NJ: Ethan Rasiel is ending a 12-year stretch at Edelman to join Samsung Electronics America as director of PR for the consumer business division. In the newly created role, effective February 7, he will be responsible for product, consumer, and business communications for Samsung's TB, home theater, digital imaging, home appliance, and storage product lines. 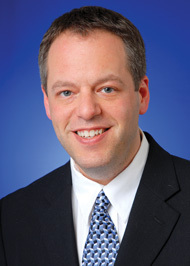 Most recently, he was EVP and GM of Edelman's New York technology practice. “His experience in the consumer technology sector and as an agency partner to Samsung will bring great value to the strategic communications needs of our business,” stated Peggy Ang, VP of marketing communications for Samsung's Consumer Business Division, via e-mail. Edelman is currently agency partner to the corporate communications group at Samsung Electronics Co. Ltd. in Seoul.